Are you frustrated trying to share your business on Facebook? Do you spend hours trying to reach followers, only to realize the majority never even see your content? Would you rather have direct access to those leads, to be able to share news and offers with them whenever you’d like? In this case study, we’ll share how OlyPlant used onsite retargeting to replace their Facebook marketing efforts. In the process, they increased their list over 122% and drew visitors to stay onsite 157% longer than before. Olyplant is a family run company based in Greece that produces certified organic plants from rare vegetable and herb species for amateur gardeners. They sell to customers in garden shops all over Greece. Like many small businesses, Olyplant had invested heavily in their presence on Facebook. They collected thousands of followers there, but struggled to convert those low-quality leads to sales. In May 2015, prior to using OptinMonster, OlyPlant collected only about 150 subscribers/month to their list despite a robust Facebook following. Rather than continuing to focus on building their Facebook following, OlyPlant decided to focus on building their own email list. Using OptinMonster and the articles on our blog about how to grow an email list, they began to see positive growth. As it turned out, the shift from focusing on Facebook followers to instead growing their own list proved to be invaluable. In March 2016, their Facebook page was accidentally deleted and could not be retrieved. If not for their email list, their sales pipeline would have dried up overnight! Would you like us to share smart tips, planting aids and more with you? Yes, I’d like some advice. No, I already know everything. This optin uses our exit-intent technology, triggering only after the reader has been on the page for at least five seconds, then attempts to exit the site. It converts nearly 5% of abandoning visitors! Traditional retargeting allows you to present an offer to non-converting visitors at a later time. Most often, this is done through ad networks like Adwords, Facebook, Instagram or Twitter. You know when you visit a website, then see that same website’s ads following you around the internet? That’s retargeting. Onsite retargeting is similar, but happens entirely on your own website. In this case, the visitor is about to leave the site when they are targeted with an offer related to same topic they had been reading. If the user accepts the offer, OlyPlant can later target them again with an even more specific offer about this topic, moving the reader further down the sales funnel. If they decline the offer, they can try again in a later visit, perhaps with a different offer or message. 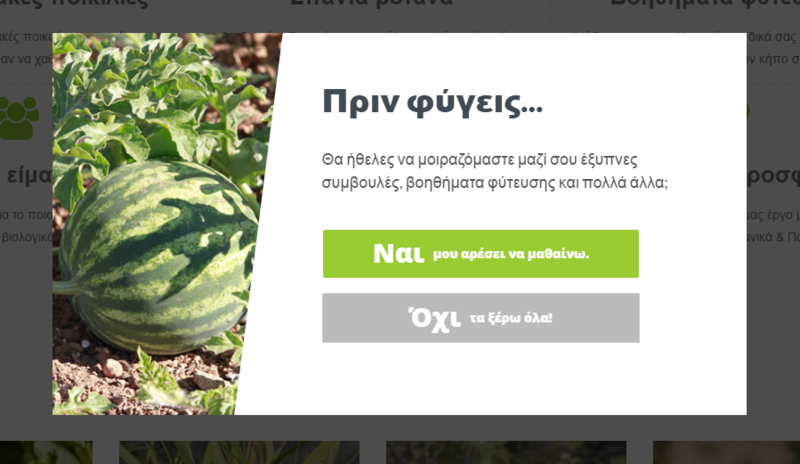 Rather than present the subscription form directly in the optin, OlyPlant chose to use our Yes/No optin. It provides the reader with two choices. The Yes button launches a lightbox optin with the subscription form. The No button simply closes the optin. It forces the reader to confront the consequences of choosing no. Once the reader has clicked yes, they’ve made a small commitment to completing the offer. Most who begin that commitment will finish it. OlyPlant presents the same offer in a similar optin on other areas of their site. Using our MonsterChain feature, they can prevent the optin above from displaying if the reader has already opted in to one of the other optins. OlyPlant increased the subscribers to their list from 150/month before using OptinMonster, to 333/month after. That’s a 122% increase! But adding hundreds of subscribers was not the only benefit of using OptinMonster for OlyPlant. OlyPlant offers a tutorial about how to plant strawberries. Prior to using OptinMonster, visitors to this page who were referred by search engines went on to visit an average of 1.97 pages on the site. Using our referrer detection feature, OlyPlant added an optin to the strawberry tutorial that only appears to readers referred by google.com. The optin below displays after the visitor has scrolled 50% of the page. It offers the option to learn more about growing strawberries. 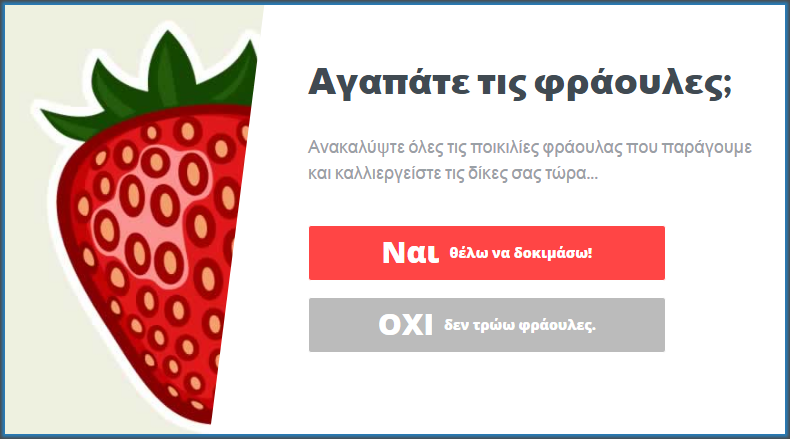 The YES button links to the archive of strawberry-related articles while the NO button closes the optin. 17% of readers click the YES button. More importantly, those readers go on to visit 5.08 pages per session, a 157% increase in pageviews! OlyPlant used our onsite retargeting to keep visitors on their site and to add them to their email list based on their interest. Onsite retargeting helps move readers further into your sales funnel by presenting offers tailored to the actions taken on your site. It’s a powerful way to explode your list and keep people on your site longer. I would like to tell you that you are doing amazing job and my email list for my small company it is growing very fast because of your software.